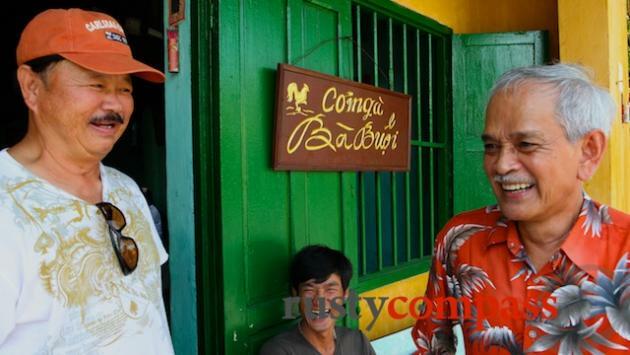 Mr Binh of Com Ga Ba Buoi. Here he sits with his daughter. His mother, Ba Buoi watches on from behind. She started the small eatery in the 1950s. One of the oldest eateries in town, this simple, family run chicken rice spot is a gem - though it’s now on the busy side. 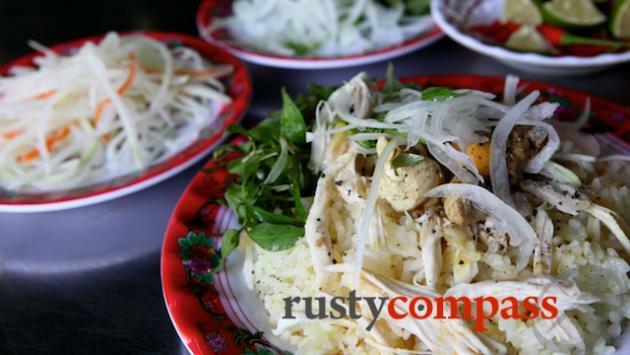 Com Ga Ba Buoi only serves Hoi An chicken rice - and was opened by Ba Buoi or Mrs Buoi in the 1950s. It’s been serving locals and visitors since then. 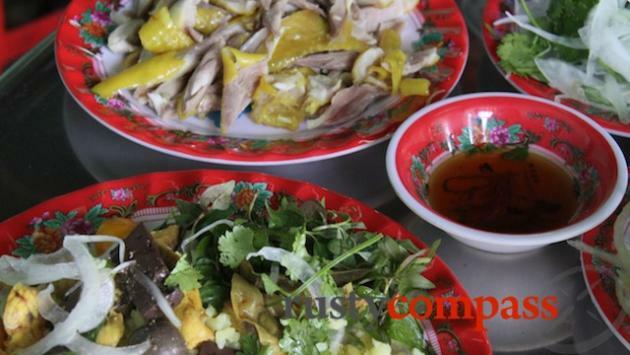 Her son Mr Binh now runs the show with his family so if you’re feeling like a light tasty lunch with some devoted locals, swing by Com Ga Buoi. Things can be very busy here during summer.